LA and LB series - Inline Joints, Branch Joints for PVC/PVC/SWA/PVC and XLPE cables to 3.3kV. BK series - Inline Joints for PVC/PVC/SWA/PVC and XLPE cables to 1kV. For hazardous areas - Inline Joints. 2 part polyurethane resin - Standard Straight Joint, Universal Straight Joints, Universal Branch Joints. 1kV - 3.6kV ‘Shrink Joint’ straight joints for XLPE and PVC armoured cables. General purpose heat shrinkable tape for applications up to 1000V. 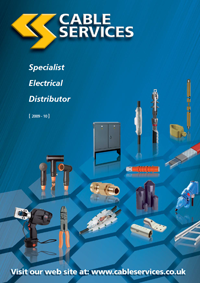 Full technical back up is available to our customers on all low voltage cable joints supplied by the group. Our limited integrated range, means that our sales personnel are exceptionally well informed and therefore able to assist customers with any enquiry. In the event of a question being beyond our experience, our long standing relationship with our suppliers means that their technical expertise is immediately available.